Best Saving Bank Account – If you are not happy with service extended by your bank or if you have a plan to open new saving bank account we have something interesting for you. 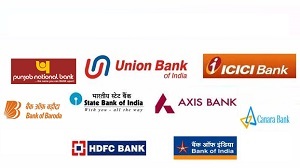 We are herewith detail of 10 Best banks for opening Saving Bank Account in India. You generally select saving bank account based on interest rate offered by a bank. However, there are a number of other things which you should consider before opening saving bank account. Here are some important criteria for selection of saving bank account. ATM – Last year banks have reduced free usage of ATM machine, means if you carry out ATM transaction more than specified limit you will be charged extra. However, a certain bank like Yes Bank, have not kept any restriction on ATM withdrawals. This means you can withdraw money from bank ATM any number of times free of cost. Location – Location of a bank is another factor of evaluation. You should select the bank which is near to your location. Average Balance requirement – You should check that how much average balance you need to maintain for saving bank account. Also, find out what are the applicable charges for not maintaining average balance. Online Facility – You should find out about online facility offered by the bank. Not only that your bank should be technology savvy. Bank should provide features at par with other banks. Interest rate – You should also look for interest rate offered by the bank on saving bank account. Some bank offers exceptionally high interest rates. For example Yes Bank, RBL, Indusind Bank offers interest rates in the range of 6-7% on saving bank account. User-friendly App – Bank should provide a user-friendly app with additional features like easy bill payment, recharge, money transfer etc. Branch and ATM network – You can also look at network size of branch and ATM of a respective bank while opening saving bank account. Service Charges – The product fee and service charges are different from bank to bank. Many bank charges money for using a facility like ATM card. Public sector banks usually charge less money compare to private sector bank. Security – You should also evaluate bank from perspective of security. Your bank should be in good financial condition. Avoid opening the bank account in a corporative bank or less popular unknown banks. Customer Support – You should evaluate bank on customer support before opening bank account. I hope you must be clear by now on selection of bank for opening saving bank account. Let’s take a look at 10 Best banks for opening Saving Bank Account in India. State Bank of India is India’s largest bank. This bank offers many services like insurance, trading, fund management etc. apart from bank account. You can find SBI in every part of India. This bank is available even in remote locations and overseas. ICICI bank is largest private sector bank of India. This bank was founded in 1994. In short span of time bank has grown in popularity and customer base. ICICI offers good technology innovation to customers. Punjab National bank is next in the list. PNB is nationalize bank established in 1969. Apart from saving bank account this bank offers multiple other products like education loan, personal loan, home loan etc. PNB also offers 12 hours banking facility in some branches. HDFC is private sector bank of India. This bank was established in 1994. In short span this bank has gain lot of popularity. HDFC bank is famous of Home loan. HDFC also offers other products like insurance, mutual funds etc. Bank of India is nationalize bank offering various services apart from saving bank account. Auto sweep facility provided by this bank is good. Canara bank is another national sector bank. This bank was established in 1969. This bank offers multiple other products apart from saving bank account. Ashraya deposit scheme for senior citizen, Jeevan Dhara account offered for senior citizen are some innovation of this bank. Bank of Baroda is another nationalize bank offering multiple products and services. Baroda premium account and Baroda salary advantage accounts are famous product of this bank. Axis bank is another most popular name in private sector bank. Axis bank offer state of art service and support. Bank is well equipped and keeping pace with IT enabled services. Apart from saving bank this bank offers multiple other products. Union bank of India is next in list. This bank was established in 1919. It is nationalize bank. Yes Bank is one of the largest private banks in India. Yes bank offers 6% Interest rate on saving bank account. ID Proof – (PAN Card, Passport, Election card or Aadhar card). You should select the bank which is suitable to your requirement. Choosing the bank only based on popularity will not help you in long run. Do share your experience about these banks in comment section. I LIKE IDBI BANK. IS IDBI BANK IS SAFE?